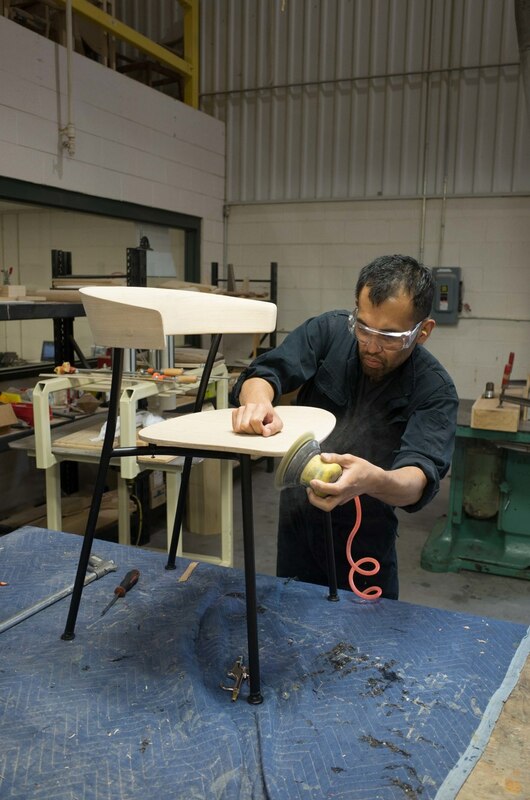 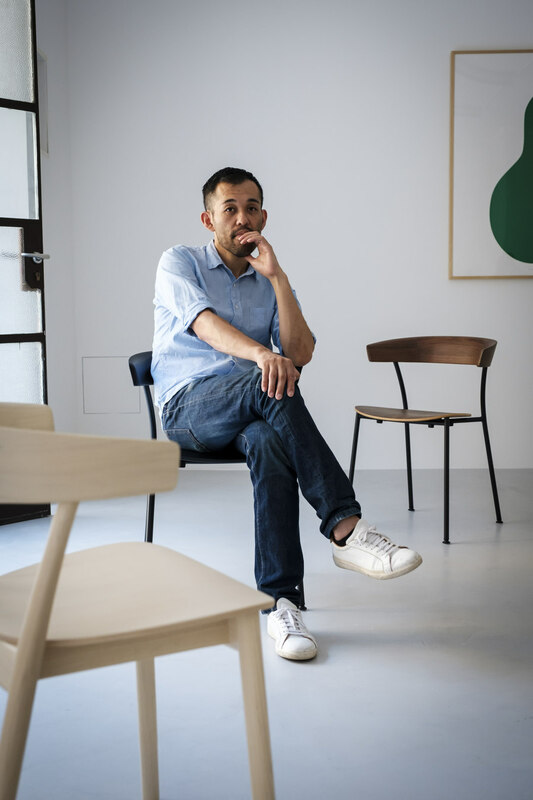 For Leeway Seating, Keiji Takeuchi envisioned a design that’s humble in scale, open and free-spirited, clean but not too serious. 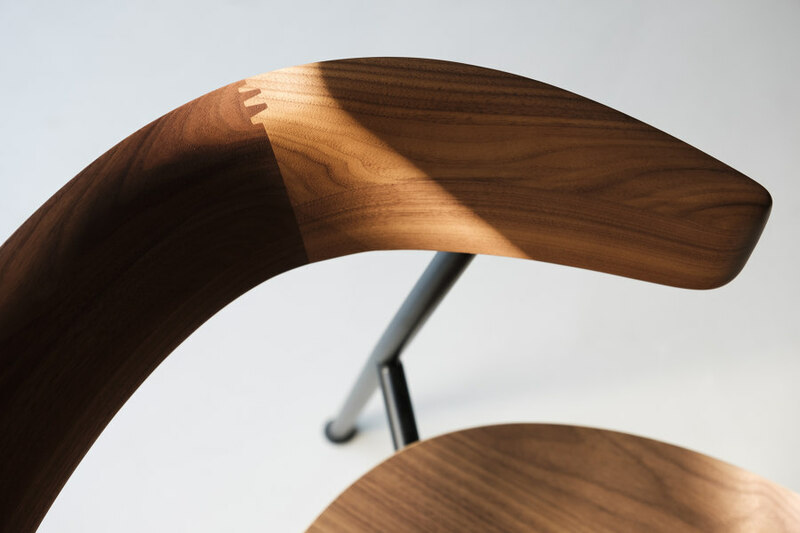 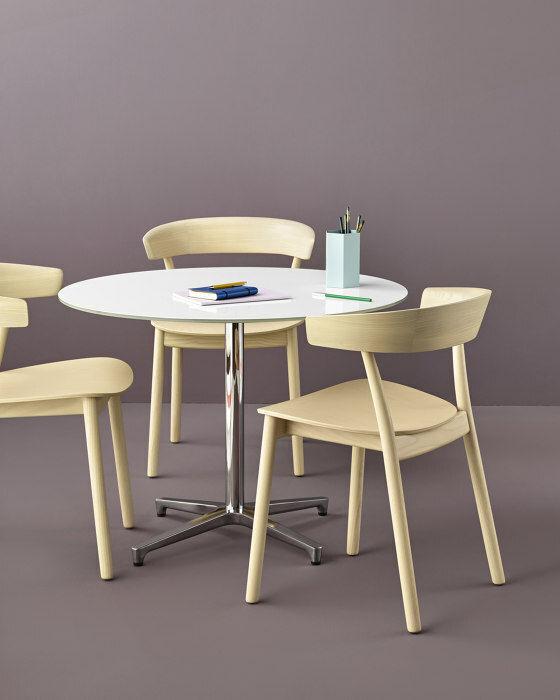 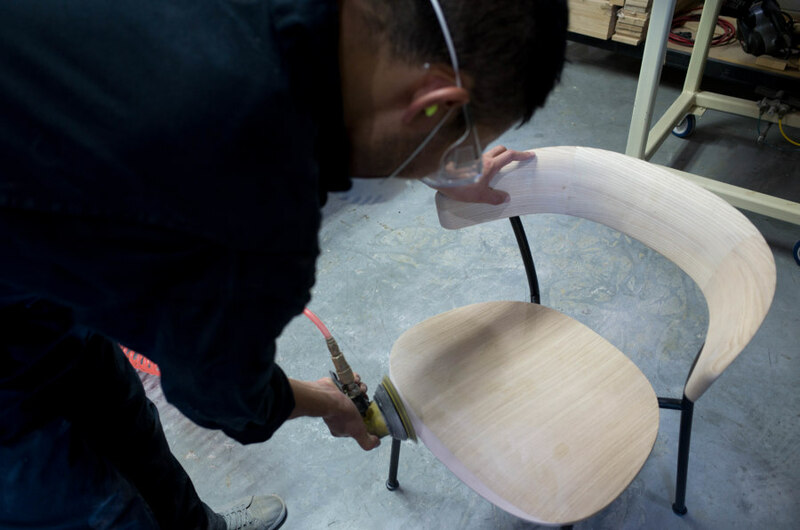 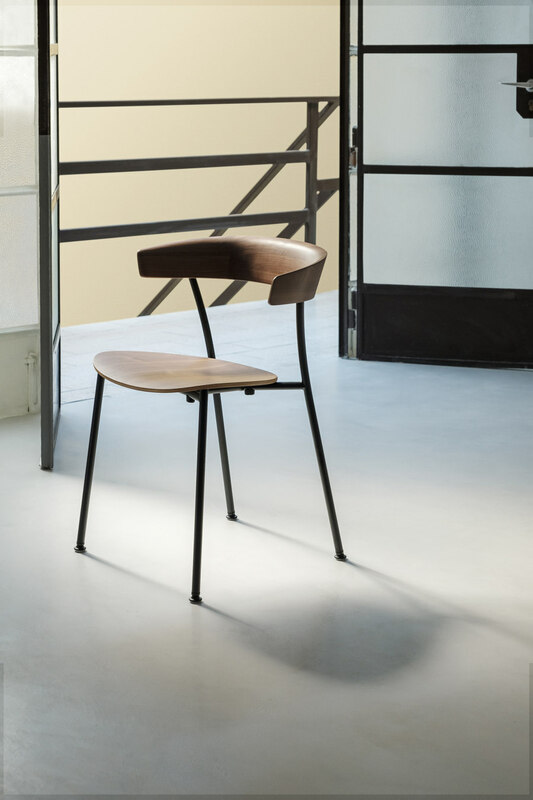 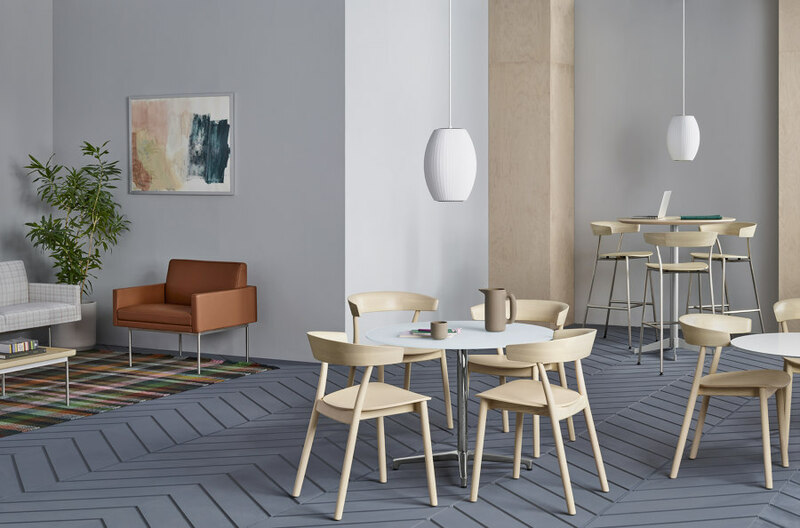 Maximizing Geiger’s strength in woodcraf, he gave it a backrest that curves gracefully, following the shape of the human body and the way people move in their chair while socializing or collaborating. 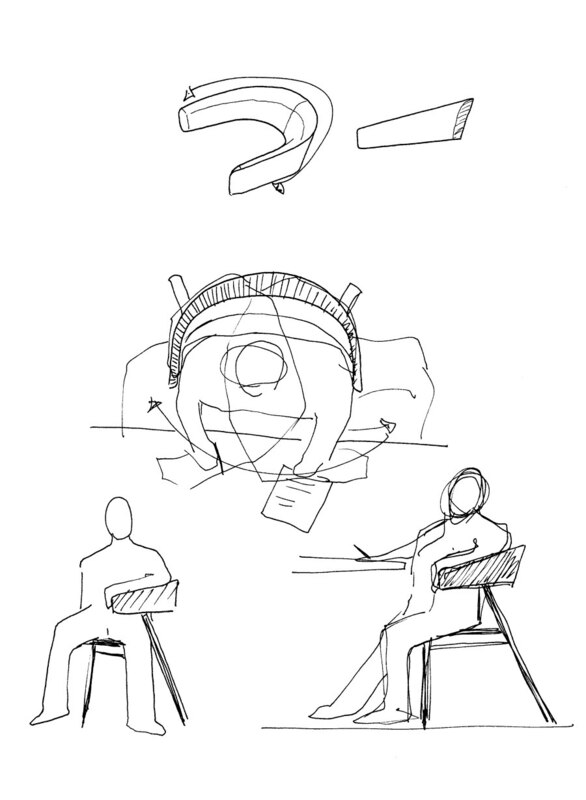 Allowing freedom of movement within Leeway’s minimal footprint was an important design consideration. 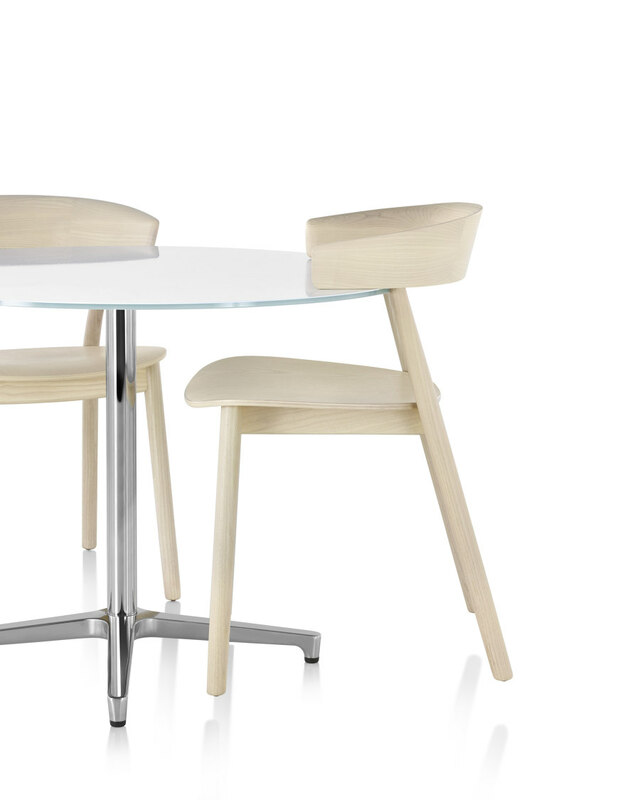 The range of motion allowed by most side chairs is defined by the space between armrest supports. 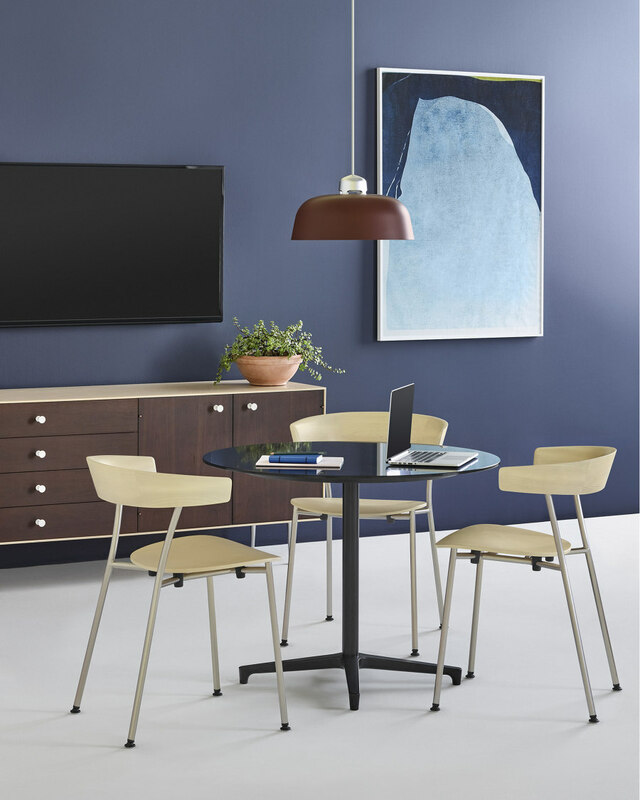 With Leeway’s cantilevered backrest, which attaches only to the back legs and extends just far enough to provide a place to rest elbows, the sitter is free to spread out and move naturally. 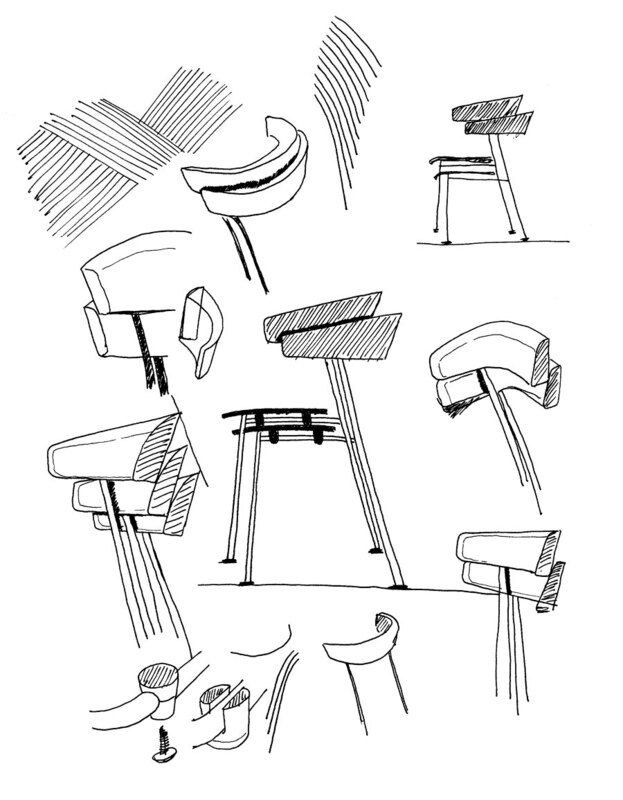 Keiji Takeuchi knew his work on Leeway Seating was done when, in his words, “people were happy to sit on them.” As he explained, “If people have any hesitation choosing my chair over something else to just sit on, that means my chair is still missing something to be complete and hence I need to refine it.” From the crescent-shaped backrest to the optional upholstered wood seat, Takeuchi’s focus on comfort resulted in a design that invites people to use it, then exceeds their expectations. 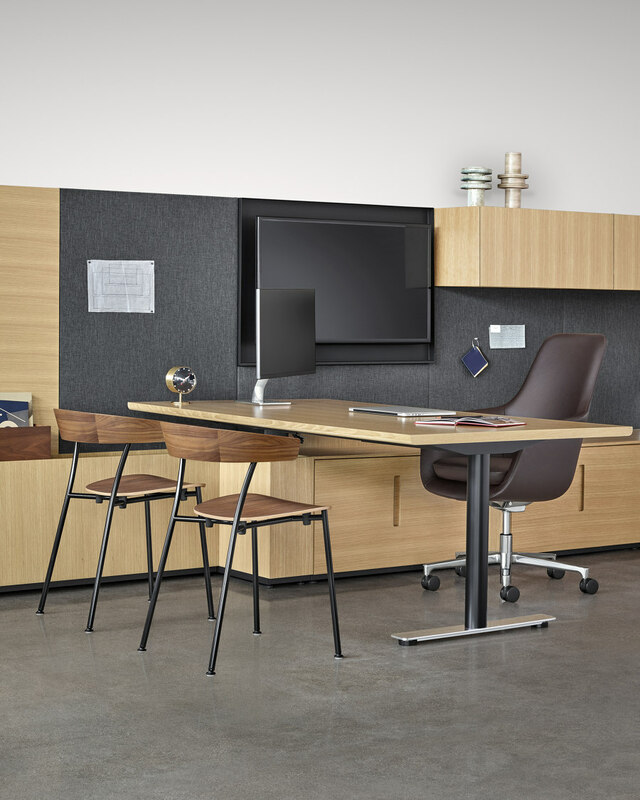 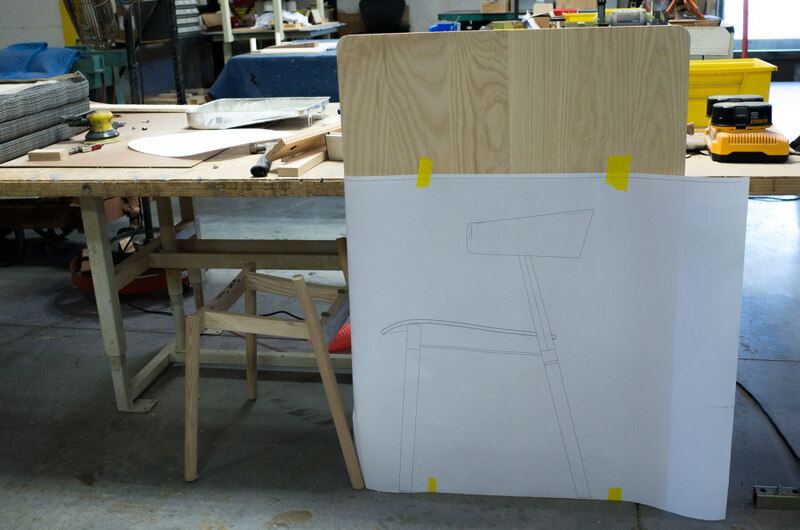 The form of Leeway Seating emerged from its designer’s desire to follow the movement of the human body as people shif in their seat during conference calls, lunch meetings, or wherever they come together. 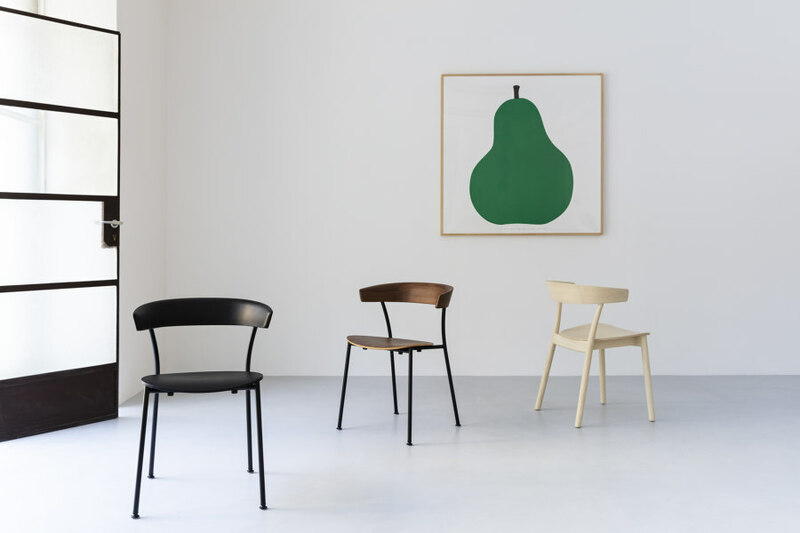 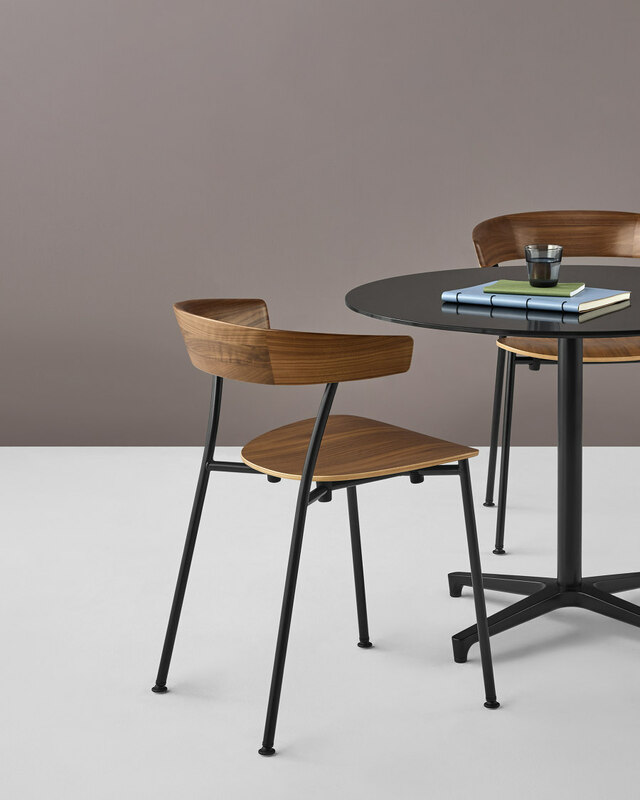 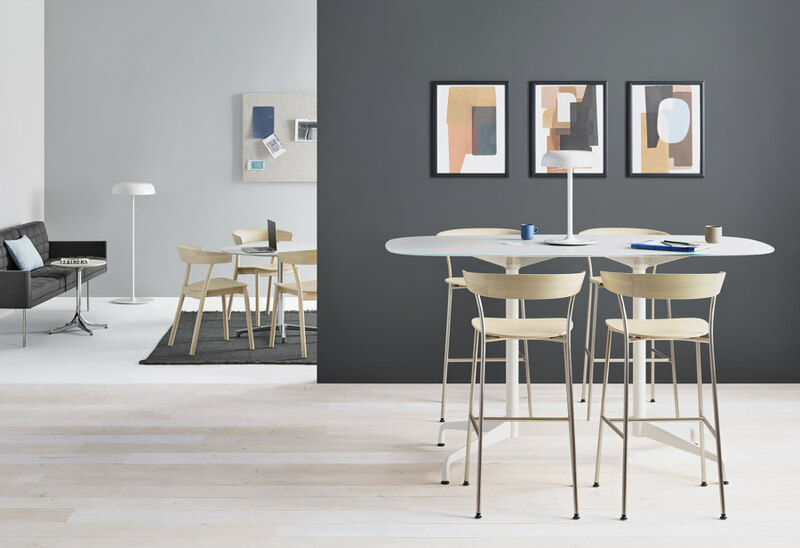 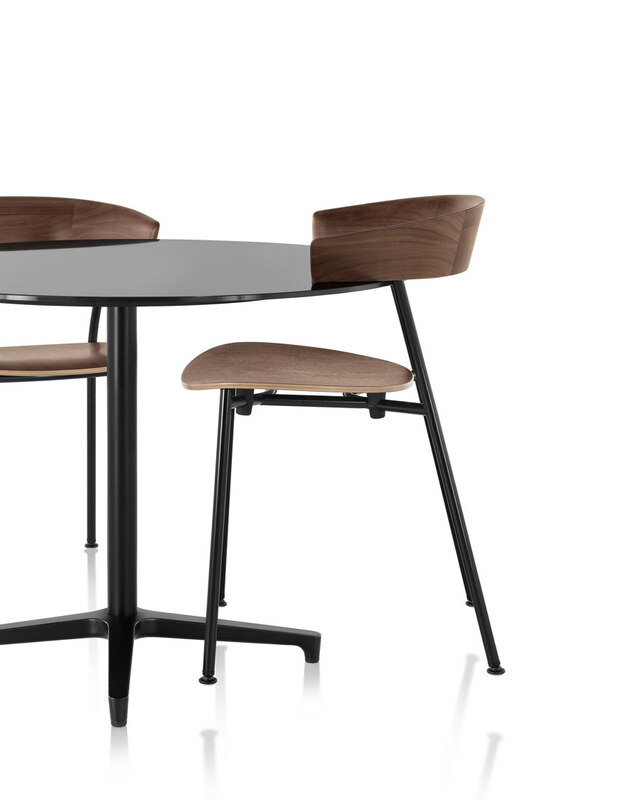 The family of seating includes side chairs in all wood, side chairs with metal legs that stack up to three-high and stools in barand counter-heights. 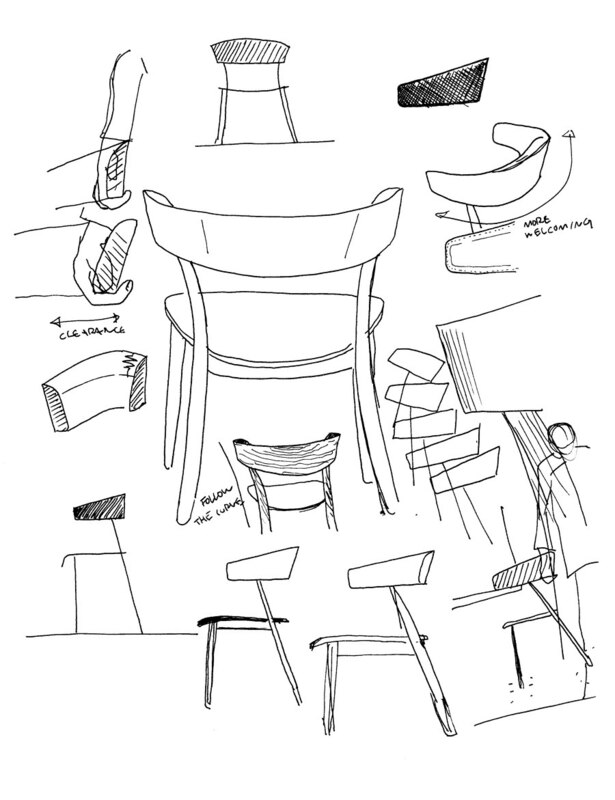 A range of material options further extends the versatility of the design.